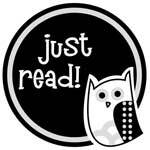 Odin the Owl: Just Read! Let’s get our READ on. Hello. This is Odin. He is an owl.